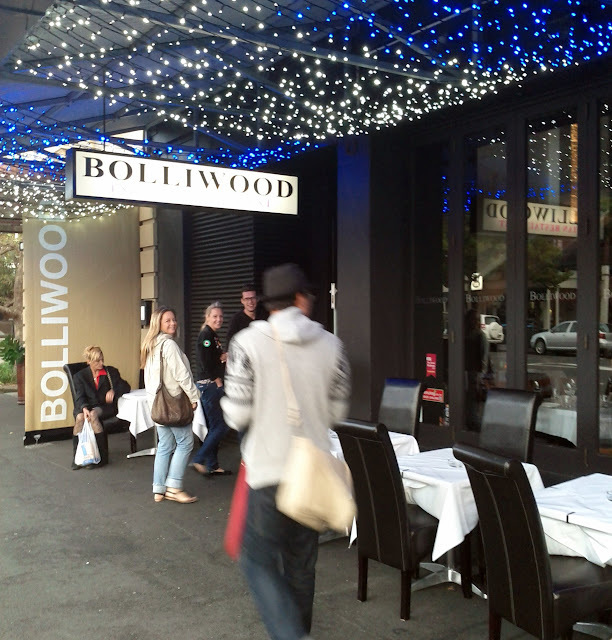 It's hard to miss Bolliwood on Ponsonby Road with its blue star like lights illuminating the awning and a large bright sign. 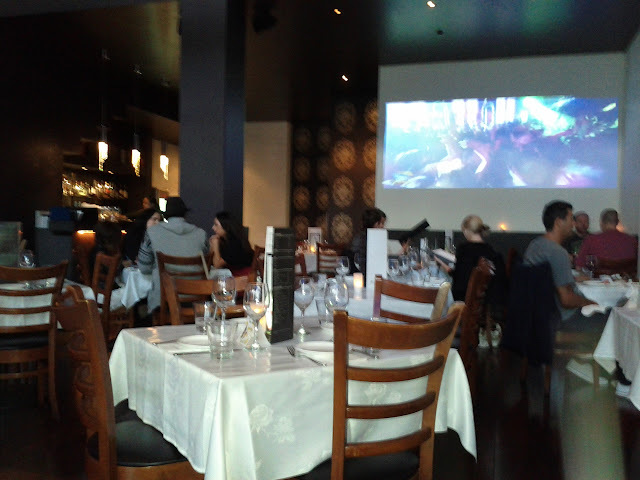 Inside the decor was modern and appropriately a large screen showed bollywood clips. We were visiting on a Monday evening and the offer of curry dishes for $10 including rice had tempted in quite a crowd. 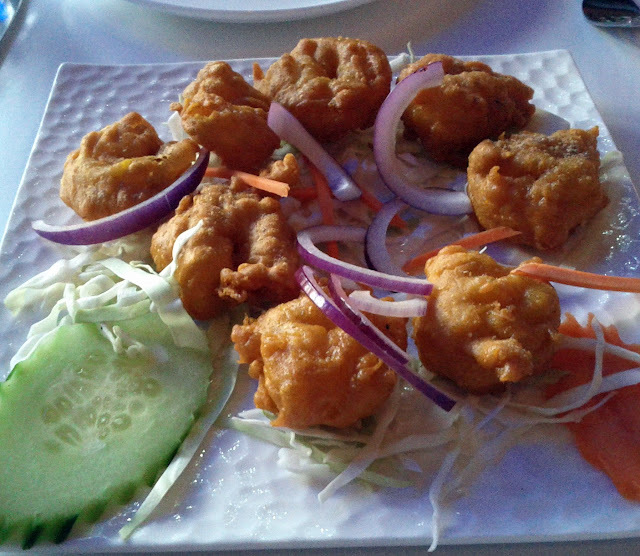 We shared the prawn pakoras cooked in chick pea batter which were crunchy and well cooked. The Pappadums with Indian dips were perhaps the best presented I've ever had, they did the job, although a super spicy dip was missing from my ideal selection. We shared several mains the kadhai chicken cooked with capsicum, onion, ginger and garlic, with a touch of coriander, herbs and spices was probably the favourite. The beef vindaloo wasn't quite as red hot as advertised on the menu or we had expected. 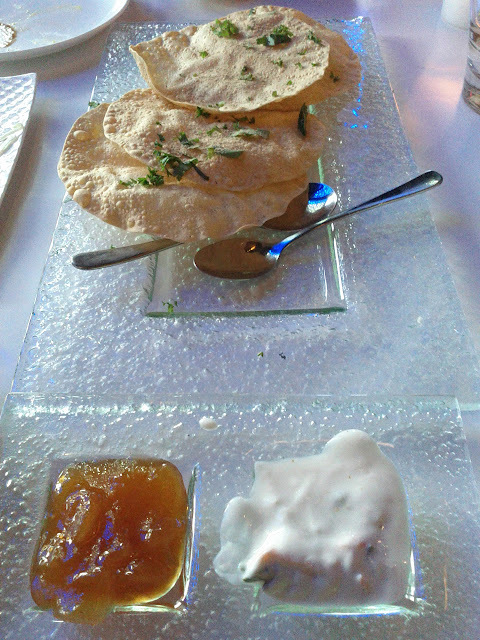 The mild vegetable korma was pleasant and the Chana Masala, which arrived with a mini salad on top contained a tasty mix of chick peas in a blend of spices. The service was efficient but fell into the slightly pushy territory trying to get us to order extra's. 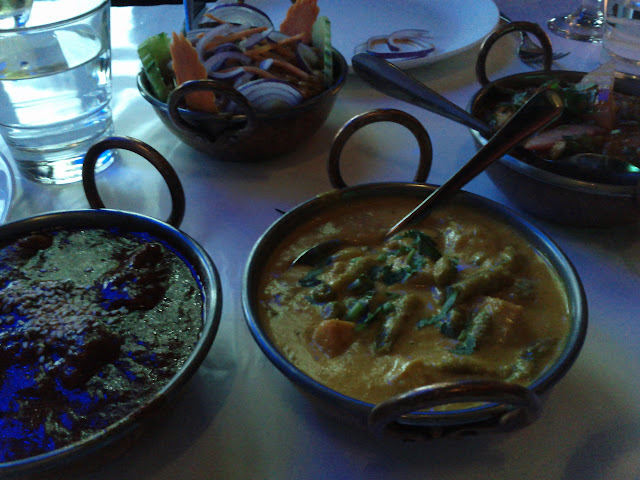 Other than that though it was a good meal and worth a try if you like your Indian restaurants on the more bling end of the spectrum!